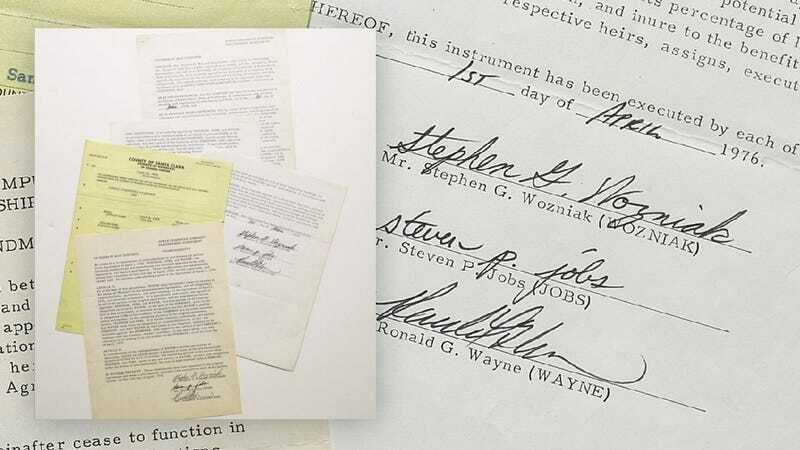 "Stephen G. Wozniak", "steven p. jobs" and "Ronald Wayne". The latter had the best signature on Apple Computer's founding contract, signed on April 1st, 1976. Too bad he used it again to sell his 10% share for $800. Today, his 10% would have had a $35 billion market capitalization. Wayne always says he doesn't regret selling because at the time it was the best choice. Whatever, Ronald, WHATEVER.